Instagram is the leading photo sharing platform and its gaining popularity among youth. Either you are a professional photographer or an amateur, it’s an excellent showcase to share your pics. 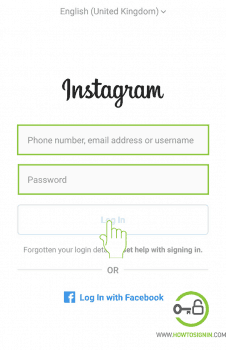 Instagram login process varies with different device. You can log in to Instagram with various methods and devices. 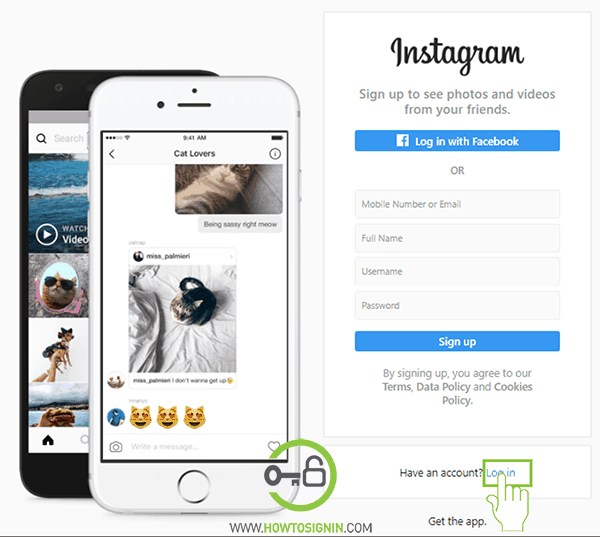 There is an excellent Official Instagram app to access Instagram from mobile along with many third party apps. 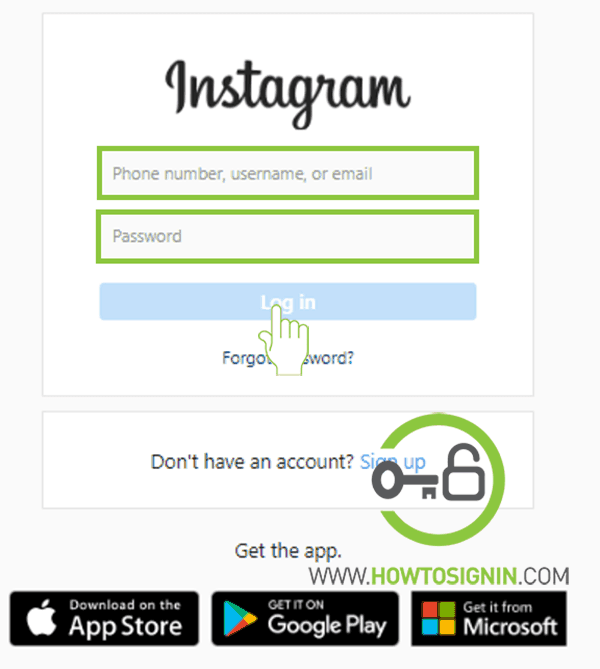 To sign in Instagram from Desktop PC, you can use the Instagram desktop app for Windows or from web-browser. Sign up for new account if you already don’t have one. Initially, Instagram was not available for the web version. It was limited to a mobile app and webpage containing a download link for the mobile app. Recently Instagram got its web version which works similar to the mobile app, but the features in Instagram web version are limited. So, the Instagram web experience is not a pleasant one as you can’t upload photos and videos via web-browser. Go to Instagram homepage from your browser. Click Log in which is just below sign up form. Select this option if you want sign-in with username and password, instead of Facebook. That’s it. You are now on your Instagram homepage. Check the posts of the people you follow, share posts, etc. The Instagram mobile app is the ultimate version of its service. Those services you find missing in the web browser are available in the app version. You can take snaps from the mobile camera, edit instantly with the Instagram default photo editor and share those with your friends and family. 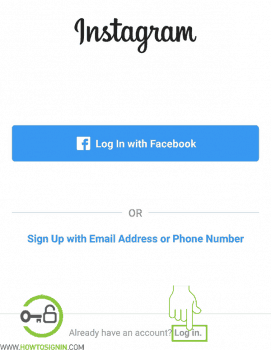 The Instagram mobile app is available on both iOS and Android devices. Open the Instagram app from your mobile menu. Tap on Already have an account? Sign in. 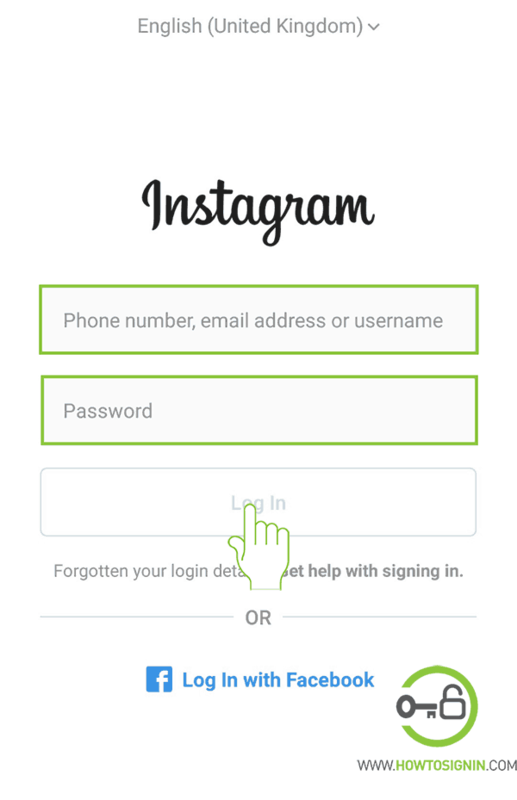 Enter your username or phone number/ email address associated with your Instagram account. Enter your password and finally hit Login to access your account using the mobile app. Not shoot photos instantly and share with your friends and family, chat with them in private chat, follow them and see their posts on your feed. Instagram Login is easiest with Facebook if you don’t mind connecting both of your accounts. You can log in with Facebook on the web or on the mobile app. Just select Log In with Facebook option on the sign-page. If your Facebook account is not already logged in, you’ve to log in to FB account. Instagram has a desktop app for Windows 10 users. It’s not as robust mobile app. With the help of this, you can post to Instagram from the desktop. Download Instagram Desktop app from Windows store. 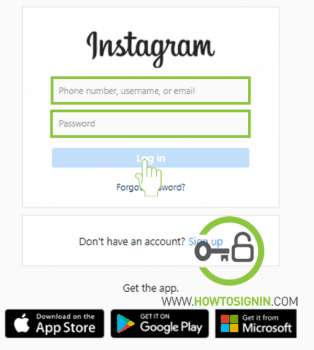 Open App and log in with Instagram username and password. You can also sign in with Facebook. Once you logged in, click on the camera icon to upload photos from the desktop. The app may ask permission to access your camera, allow it.